Startup company Mukuna runs an online guide to live music and DJ gigs in Auckland. But Mukuna is more than a guide; it is also a tool for syndicating music event listings to other websites, says lead programmer and one of the founders of the company, Lisa Salmon. The company was founded in 2007 by Salmon, an American web developer with Kiwi parents; Manuel Matisi, aka DJ Manuel Bundy; and Jeff Root, a web developer from Detroit, Michigan. The trio works out of Root’s and Salmon’s airy flat in Auckland’s gig hot spot — Karangahape Rd. The system is built as a service for venues and promoters, says Salmon. The whole idea is to let punters find the information they want quickly. “It’s not just a website, it’s a database that feeds multiple sites,” says Root. 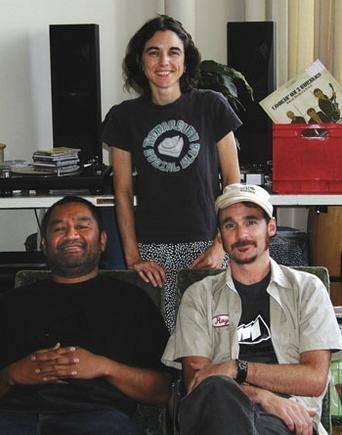 Mukuna is made up of three main parts — the website, which lists gigs in Auckland; a syndication system, which automatically updates the promoters’ websites and their MySpace pages, as well as automatically submitting the listings to The New Zealand Herald’s Time Out guide and a printed Auckland gig guide, Culture Vulture; and lastly, an SMS gigs-by-text feature, says Root. The SMS feature allows users to ask for the information they want, when they want it. It’s a pull rather than a push mechanism, he says. Users can text a music genre, neighbourhood, day of the week or venue name, or any combination of the four, to Mukuna and the system sends back a text message with a list of the relevant gigs. For example, if users text “jazz cbd” they will receive a text message with information about this week’s jazz gigs in the CBD, says Root. Other examples are “house sat” for house gigs on Saturday, “krd” to find out what is on in the K Road area, or a venue name to see what is on at that particular venue this week, he says. Users can then reply “more” to receive the next lot of gigs in the list, or reply with the gig number to receive details for that event, such as venue address, start time and price, he says. The team was initially thinking about building a mobile version of the website but then realised that nobody they knew could afford going on the internet from their cellphone. “But people can afford to text,” says Root. Salmon has built the whole platform, which is mainly PHP and MySQL. “This is an idea that we’ve had in our heads since 2001, when we were living in Chicago, going out to see live music four nights a week, trying to figure out a way to get in for free,” says Root. Their goal was to build the kind of gig guide they wanted to use themselves, which is why they keep improving the user experience continuously. One of the recent enhancements is filtering, all to make it easier for punters to find the type of gig they are interested in. Users can search for music genres, venues or areas, and the site also has a recommendation system, based on ratings by external genre experts and radio channels. The number of users is growing steadily. Last month the site had 14,000 visitors, says Root. Salmon and Root moved to New Zealand from Tokyo, where they lived for a few years doing web development for large companies. Plans for the future include expanding the online gig information distribution system to Wellington, and to dig deeper into underground music communities, such as the Chinese and Korean communities.